Building a talented workforce, while aligning training with business needs will be the primary goals for the HR organization. 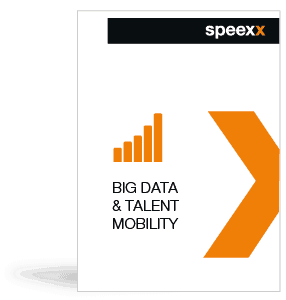 Download this whitepaper to learn how Big Data, i.e. using learner data to hone personalized, effective learning, will play a key part in meeting these objectives. How Big Data helps HR achieve business objectives and align training more closely to an organization. Big data and the digital transformation curve continue to be top priority and challenge for HR and L&D professionals. Building and retaining a talented workforce, while aligning training with business needs are great opportunities for L&D in delivering strategic value to the ever changing organization. Big Data, i.e. using learner data to hone personalised, effective learning, will play a key part in meeting these objectives. In part one of the two-part WP resource, we set out some of the key goals for HR and L&D leaders, as revealed by the Speexx Exchange Survey, and make practical recommendations on how to achieve these goals using Big Data.